When you arrive at Pure European Chiropractic Centre you will be welcomed by our receptionist and asked to fill out the New Patient Form. This is to take some details about your health history and general well-being. To help us, it would be great if you bring a list of any medications or supplements that you take. 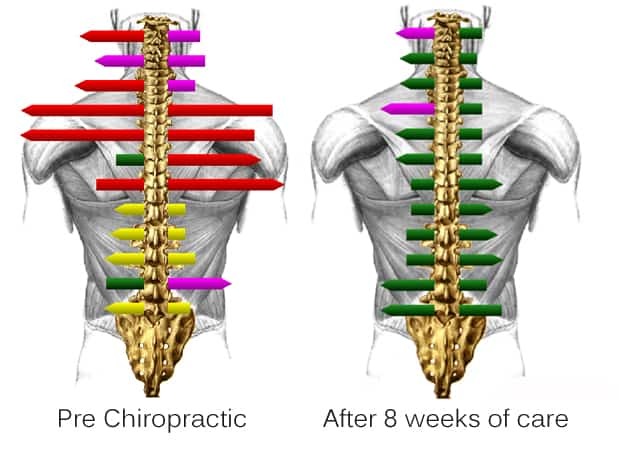 You will then meet the chiropractor who will go through a more thorough case history, postural check and detailed examination of your problem areas. The chiropractor will also check your musculo-skeletal system as a whole as sometimes problems in one area can cause tension, pain and poor function in other areas of the body. You will then have a scan performed on your spine, called Surface Electromyography, which will measure the muscle tension around the spinal vertebrae to detect areas of misalignment or nerve irritation. Generally you will need to allow about 30-40 minutes to complete your initial consultation at the clinic. The chiropractor may refer you for further imaging (x-ray/MRI scan) if clinically necessary and will let you know whether chiropractic can help you. You will then book your next appointment for a detailed Report of Findings to explain the diagnosis and your personalised treatment plan. Generally we prefer to give you a full Report of Findings before commencing treatment, however we do understand that some patients require immediate relief from their pain, and in this case we will offer relief care on the first visit, if it is safe to do so. Please inform us if you do need immediate treatment when you are booking your appointment with us.